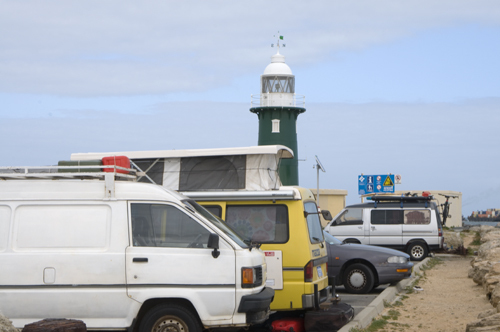 Parking of campervans is again posing a problem in Fremantle and will get even worse during the summer months, with backpackers ignoring the no parking signs on the South and North Mole at the port and at South Beach. The idea to lock up the moles during the night is not a good one as it affects people fishing from there and those who like a bit of romantic sightseeing in the dark. It would also only shift the problems and make it worse for South Beach and that is not fair to those who frequent that beach. There is either a problem with not enough space for campervans at Woodman Point or the backpackers don’t want to pay for legal camping and that needs to be addressed. In Broome during the busy tourist months they used to use one of the sports ovals as an overflow caravan park at Roebuck Bay, so maybe this is something the City of Fremantle should look into. If the problem is not enough space at Woodman Point, could we make a part of Fremantle Park or Princess May Park available at reduced costs and what would the implications be as far as health regulations go because there would be no showers and toilets. Backpackers are important for our tourism industry, so somehow we need to be flexible in accommodating their needs. Any bright ideas anyone out there?